However, we do not seem to think much of God as our protector in these days, we trust more in the strength of our own arm, favoring “shock and awe” and bestowing “freedom” and “democracy” upon other nations at the point of a gun. I wonder what would happen if we tried the virtue of the word of God among ourselves and then our own government before seeking to try it elsewhere. Towards the end of the Nephite nation upon this continent a little over 1,500 years ago, the captain of the Nephite armies, Mormon had assembled his people to defend their lands against an imminent threat. They were driven from city to city and land to land and fled continually from their enemies with thousands being hewn down (Mormon 2:15). As wicked as they were, however, they were not yet beyond redemption; the vast majority of them were still escaping the hands of their enemies. Even in the face of a terrible, merciless enemy, the Nephites showed remarkable restraint by only seeking to defend themselves. They were not being cowards but were obeying a law that God had given them, a law against offensive attacks, even against a ruthless enemy. After a time, their enemies send word that they are preparing to come to battle against them once again. Mormon prepares his armies to defend themselves and when their enemies come against them, they are victorious. Next year, their enemies were on the attack once again; the Nephites beat them again and began to boast in their strength. Understandably, they are tired and weary of continually defending themselves against an enemy. They must have witnessed the deaths of family, friends and loved ones. However, this entire time Mormon has been trying to get them to repent and maybe if they did, they would be righteous enough to preach the gospel to their enemies like Alma and the sons of Mosiah once did and bring peace to the land. After these words, Mormon continues to narrate the fall of his people. The Nephites go out to battle once more against their enemies, but they were beaten back and many were killed. Despite his best efforts to fight, Mormon falls injured in battle and lives to witness the fall of his nation and his people. They betrayed God’s covenants, they betrayed the laws of war and went on the offense against their enemies and because of these things, the Lord could not protect them. I cannot help but be significantly impacted by these words and consider the implications of the Book of Mormon’s strong stance on offensive war and compare it with today’s “doctrine” of preemptive war. The first of the ten commandments is: “Thou shalt have no other gods before me”. You may even say to yourself, “I don’t worship any other gods, I only worship the one true God and Jesus Christ”. But what if this confident self-affirmation was betrayed by your very actions? Few men have ever knowingly and deliberately chosen to reject God and his blessings. Rather, we learn from the scriptures that because the exercise of faith has always appeared to be more difficult than relying on things more immediately at hand, carnal man has tended to transfer his trust in God to material things. Therefore, in all ages when men have fallen under the power of Satan and lost the faith, they have put in its place a hope in the “arm of flesh” and in “gods of silver, and gold, of brass, iron, wood, and stone, which see not, nor hear, nor know” (Dan. 5:23)—that is, in idols. This I find to be a dominant theme in the Old Testament. Whatever thing a man sets his heart and his trust in most is his god; and if his god doesn’t also happen to be the true and living God of Israel, that man is laboring in idolatry. So how is it that we are repeating the same pattern? Sure, anything that you lend your devotion, trust and reliance on could be a false ‘god’ like media, entertainment, addictions, etc. But for the sake of discussion, let’s assume that in this case this is not you; that you are generally good person, you serve in your church and civic duties, you help the poor, your neighbors and for the most part, practice your religion as it comes to those immediately around you. Again, we see that the Nephites, who at this time were friendly among themselves, held a deep distrust and desire for the destruction of their enemies. They suggested that their enemies were permanently wicked and evil, that they were a bloodthirsty people and even suggested a preemptive attack to wipe them off the face of the earth. The general attitude of the Nephite people seems to eerily coincide with the attitude of most American’s today in how we perceive our Muslim neighbors. Remember though, the success of these five missionaries who went out to their enemies in service and love? Remember their success because of their love and humility toward those that were before labeled their enemies? For they became a righteous people; they did lay down the weapons of their rebellion, that they did not fight against God any more, neither against any of their brethren. Now, these are they who were converted unto the Lord: The people of the Middle East who were in the land of Iraq; And also of the people of the Middle East who were in the land of Iran; And also of the people of the Middle East who were in the city of Tehran; And also of the people of the Middle East who were in the land of Syria, and who were in the land of Saudi Arabia, and in the city of Tripoli, and in the city of Beirut. Do you condemn the attitudes of those ancient Nephites that mocked and laughed to scorn the strategy of Alma and the sons of Mosiah? Would you today, like the Nephites of old, laugh to scorn any that would suggest approaching our enemies with love and service instead of the “shock and awe” of war? Do we possess within ourselves a greater faith in God and humanity, or in the power of empire, bombs, bullets and force? Who is your god? Remember that when you enter the voting booth to appoint people to represent you in the way we deal with those we currently esteem to be our “enemies”. They were taught only to defend themselves and to never give offense, or rather, never wage an offensive attack against an enemy. Their faith was that GOD was their defense and that he would lead them and warn them as to what they needed to do to preserve their lives. They did not glory in bloodshed and the deaths of their enemies. Are we following this same counsel? Are we like Moroni? 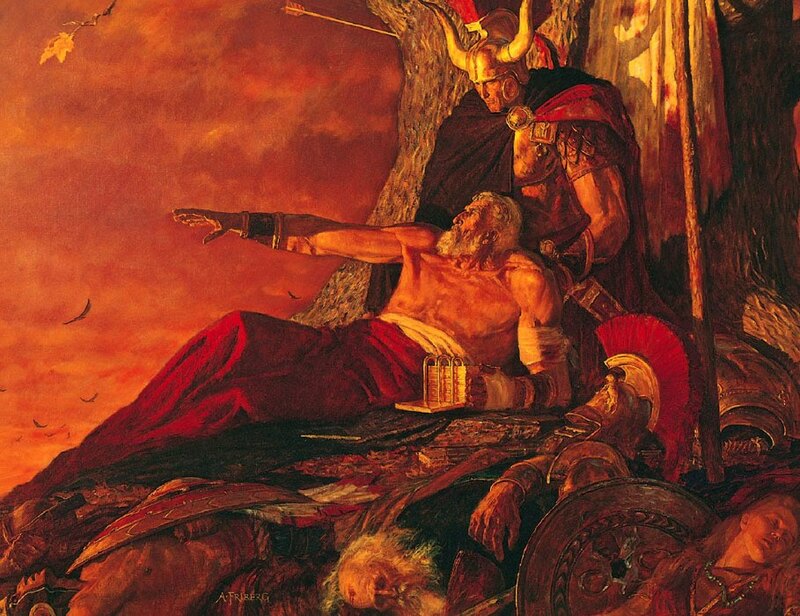 “Any thought of preemptive strike is out of the question; Moroni even apologizes for espionage, for if they only have sufficient faith God will “warn them to flee, or to prepare for war, according to their danger; And also, that God would make it known unto them whither they should go to defend themselves. “This is a great load off their minds “and his [Moroni’s] heart did glory in it; not in the shedding of blood but in doing good, in preserving his people, yea, in keeping the commandments of God, yea, and resisting iniquity” (Alma 48: 15-16). Resisting iniquity where? In the only place it can be resisted, in their own hearts. Not only is a preemptive strike out of the question but Moroni’s people have to let the enemy attack at least twice before responding, to guarantee that their own action is purely defensive”. Nibley mentions the genocidal acts of the Jaredites and how it resulted in the destruction of both sides. This is a good time for some reflection. If we look in the mirror, who do we see? Is it just to invade nations offensively even if they have done us harm? Moreover, is it just to attack nations with war and death when they have NOT done us any direct harm? We know God’s stance: “Vengeance is mine, I will repay”. October 14, 2011: Added some verses and commentary from Mormon 5. October 4, 2011: Added verses and commentary from Alma 48 just before the conclusion. February 8, 2012: Added quote from D&C 98, and the “Other quotes about preemptive war” section, added the subtitle to the article: “A Call to Reject Preemptive War” and the Hugh Nibley videos on preemptive war. Wow. What a very eye opening read this has been. In a way I feel stumped on how to really process this material. I admit I have always assumed it best to go into enemy territory to deal with wicked men rather than wait for the enemy to come to you in your own land. However the scripture references you pointed out clearly states this is wrong. I have so many questions going through my head right now especially because of things I observe happening to innocent people in so many countries. I have always been under the strong impression for example that the Taliban deserve to be wiped out from off the face of this planet without a second thought. I believe that though they do not recognize it they in fact worship the devil. With the slaughter of so many defenseless people should we not have the right to help defend them and their families on their own soil if we so choose? I don’t feel that we could exactly go in and share God’s word with these blood thirsty nut jobs but acknowledge that some how Alma and the sons of Helaman did so with the Lamanites. What about people on death row? Murderers for example which are enemies in our own lands. I’ve always been one who believes in the death sentence but I wonder if God thinks that is wrong of me. What about WW2? America going into territory not of their own to defend freedom? I feel that this was necessary. What about the nuclear bombs that at least in my opinion ultimately stopped the war? So many questions. I don’t expect you to answer I’m just putting thoughts out there. Thanks again for another great read.